I don't know about you but I find washing brushes boring and classify it as exciting as cleaning up after myself (which is no easy task and incredibly boring) or paying off a credit card bill or doing the dishes or.. well, you get the point. I've been using the Sigma Dry'N Shape Spa for quite a while now, and spoiler alert - it's a lifesaver. Sigma Dry'N Shape is an awesome multi-tasking product. It helps clean and dry your brushes! It can be dismantled into three sections - although the only reason why you'd want to dismantle is to use the main cylinder (with all the grooves and bumps) for washing your brushes (more on this later). You could technically use it whilst it's fully assembled, but then you'd be getting the brush sleeves (the bit with the black and white holder thingies on the top left of the picture above) wet, which will probably take your brushes way longer to dry. It's not a big deal disassembly and re-assembling as it's super easy to do. Just follow the instructions on each end - i.e. align the appropriate end, connect and twist. As mentioned earlier, the main cylinder body has all these grooves, bumps and lines, which make it so much easier to lather your brushes and remove makeup from your brushes. I tend to wash my brushes every weekend, and find that it only takes me one wash to get my brushes looking brand new again with this! The different bumps and grooves serve different purposes. At the top of the cylinder, it tells you what each section does - i.e. the side pictured in the photo above is for rinsing. There's also one for washing "face" brushes, "eyes" brushes, refine (which I assume is for a deeper cleanse). I normally wet my brushes, pour brush cleansing liquid onto the bumps and grooves (usually just the "face" side), and go to town swirling my brushes into the cleansing liquid on the bumps and grooves before rinsing it off under running water on the "rinse" grooves. Once I've finished washing all my brushes, I re-assemble the dry n shape spa, and stick the brushes through the black and white elastic band and fit the handles through the pink holder things. For eye brushes that are too small for the elastic bands, I place the brush handles in the inner circle ring, as pictured above. Altogether, this fancy gadget holds 10 brushes on the inner circle and 8 on the outer one. I don't think I have ever filled this up, as I do try to wash my brushes regularly. The only con that I've experienced is that it does not hold ALL brushes - especially kabuki ones. I use kabuki brushes (the ones with short handles) to set my foundation with powder, and they just don't fit in the pink handle holders or through the elastic sleeves. So I end up having to place them bristles down at the top of the inner circle. This Dry'n Shape Spa by Sigma is the best all-in-one cleaning tool for brushes that I've ever invested. I know some people use elastic bands to secure their brushes on towel holders (as above), but if you do not have space for this, like me, this gadget is the best thing since sliced bread. It retails for USD$29.00, and if you're in Australia and too tight to pay for shipping (like me), I'd wait till they have a sale on to get it (Black Friday sales are amazeballs). Although they do have free international shipping over $150. 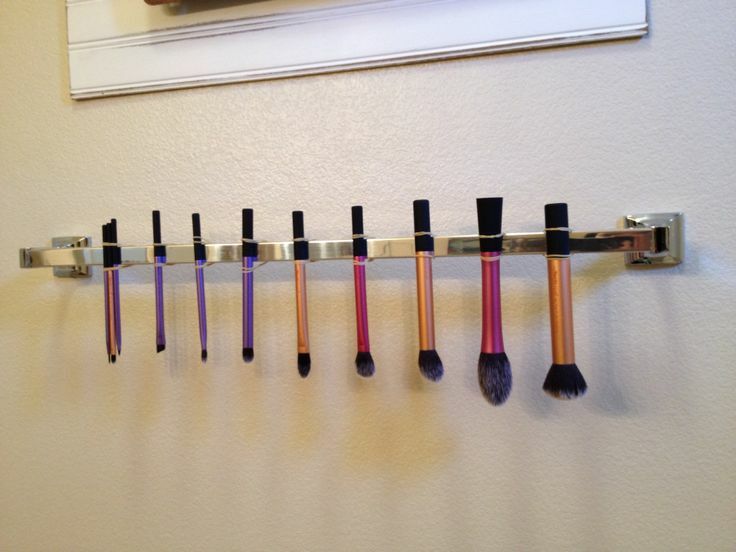 How do you wash and dry your brushes? Have you got an amazing gadget like this one?